The citizens of New York prefer a company that is local. And, Address Our Mess has just recently opened a new office covering the entire state of New York. Address Our Mess's Local Professional Cleaning Service. Address Our Mess is a local expert in the handling the entire state of New York. 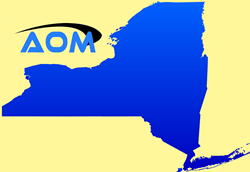 They have locally trained expert technicians, and case managers that can help handle all the services that they offer to the “Empire State.” Their services range from hoarding cleanup to commercial cleanup services in the state of New York. There are some intrinsic benefits of hiring a locally based professional cleanup company rather than a company that is bringing people from outside of the area. A primary advantage of dealing with a locally based New York professional cleanup is company is they understand the dynamics of the areas around them. Understanding the local personality of each area is critical for an organization when handling clients and when doing the pricing structure out for a project. Address Our Mess is having locally based crews and case managers’ benefits from understanding the different areas of New York’s dynamics. Understanding this is critical in the service that Address Our Mess provides which is hoarding cleanup. Hoarding cleanup in New York can vary vastly from one part of the state to the other, because of the different situations that have developed over the course of time. A hoarding cleanup service project in New York City is a tighter project than one in the countryside just outside of the state capital of Albany. There is no project that is ever quite similar to the last one. Moreover, a local company has the expert knowledge of how to handle each unique situation with the care and thought through that is necessary. Another point that a local specialty cleaning company has is that they are aware of the situation, especially dealing with an estate cleanout. Estate Cleaning is a new service that Address Our Mess has just branched into in the state of New York, and being locally operated is critical in the estate cleanout service business. Attorneys, executors, and other family members can discuss with Address Our Mess’s local specialists on how to handle the estate of itself. One of the primary benefits of Address Our Mess’s approach is that they are providing a one-stop shop for all the parts of the estate cleanout. From helping assess the items in the property, to clean out the home itself, and then to repair the areas of the property that have been neglected. Address Our Mess a locally based specialist in the professional cleaning industry can solve many of the large scale cleaning problems that plague this great state. Their trained crews and staff can handle any project that involves a significant amount of cleaning. A company that provides this excellent service has a local office in New York, and can provide the expert service that is necessary for these projects.